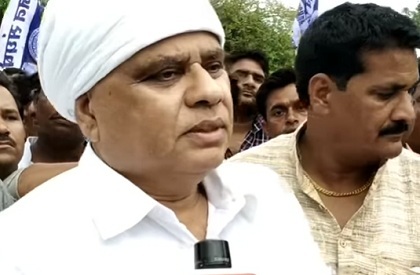 BHOPAL/GWALIOR: The chief of Bahujan Sangharsh Dal (BSD), Phool Singh Baraiya, who has a strong support among Dalit and backward communities in Gwalior-Chambal region, has joined Congress. Baraiya had become a powerful leader in Chambal, almost two decades ago. As chief of MP BSP, he had energized the cadre and had made the party a force so much that it was hurting both the major parties--Congress and BJP. But, just when his popularity was at its peak, he was expelled from BSP, suddenly. This affected BSP's prospects in MP too. He later joined Lok Jan Shakti and then formed BSD.